Wildrye Distilling is brewing up an array of innovative spirits and delicious cocktails, under the leadership of owners & head brewers, Phil Sullivan and Trevor Beard. Their approach is focused on using the most local ingredients they possibly can, including apples and sweet corn grown on their family farm in Corvallis, MT, Montana beer sugar, grains, and more. 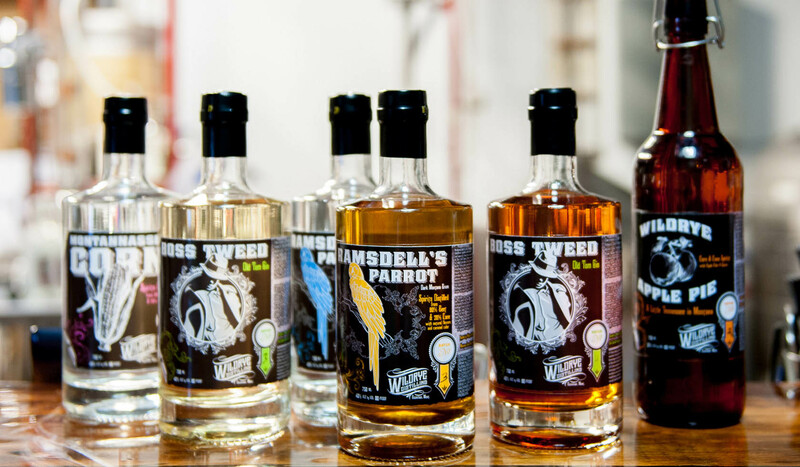 Their line of spirits currently includes a "White Lightning" corn whiskey, clear and spiced beet rum, gin, "Apple Pie," and soon, limited amounts of their barrel-aged "Five Drops" bourbon. Swing into Wildrye any day between 3pm and 8pm to try out any of their spirited concoctions or grab a bottle to go.